Kovdorskite, Formula: Mg2PO4(OH)·3H2O, is a rare, hydrated, magnesium phosphate mineral. 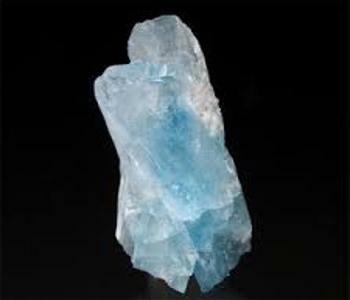 It is a monoclinic-prismatic mineral containing carbon, hydrogen, magnesium, oxygen, and phosphorus. It was first described by Kapustin et al. and is found only in the Kovdor Massif near Kovdor, Kola Peninsula, Russia. 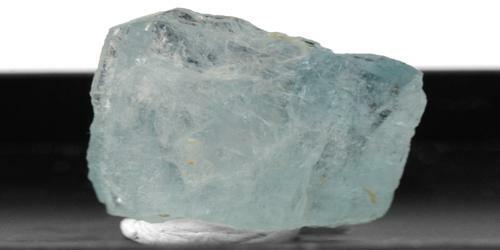 Although the color is often pale or absent, crystals are still usually well formed and striking. Their monoclinic, blocky to prismatic habit is similar to some feldspars with angular faces forming complex terminations. This rare mineral occurs in an explosive breccia pipe that cuts an iron ore deposit in a carbonatized ultramafic-alkalic intrusive. It is found in a rare type of rock called a carbonatite. A carbonatite is an igneous rock composed mostly of dolomite and calcite. Associated minerals include Collinsite, magnesite, dolomite, hydrotalcite, apatite, magnetite, and forsterite.